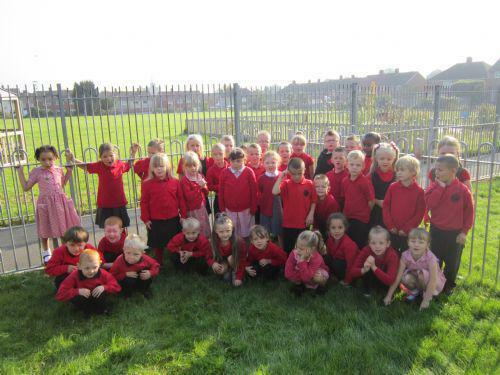 We have had a busy week settling into our new class and exploring our outdoor area. We have had lovely sunny weather and this has meant we have been able to work and play outside. 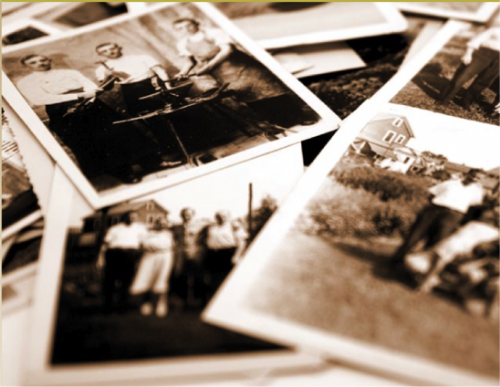 Our topic this term is 'Family Album' and we have started by talking about ourselves and our special qualities.We will be looking at the way we change from a baby to now and will be displaying our baby photographs in the classroom. Please can you send a baby and toddler photo of your child for our display. What an exciting week for Year 1! On Friday we found a huge footprint on our carpet and a letter from a giant asking us to measure the footprint so that he can have some new shoes made. We used lots of different equipment to measure the length of the footprint. We also found a giant purse and giant money and we have been practising adding the money by counting in tens. You could practise doing this at home too with some 10p coins from mum or dad! We have been talking about our families this week. We all have different kinds of families as some have brothers and sisters and some of us are the only child. We talked about how much we love our families. We have also been thinking about what we would like to be when we grow up. We have some interesting ideas such as dancers, astronauts and wrestlers! We have started learning about the five senses and learnt about touch this week. We felt different materials and described them using the words hard, soft, rough, smooth and slippery. We have also been colour mixing using our hands! We found out that red and yellow make orange, green and yellow make blue and red and blue make purple. This week we have been learning about the sense of smell. We learnt that our sense of smell is very important when we can't see things and can alert us to danger. We tested our sense of smell by trying to identify items in covered pots. We were really good at this and said the mint was toothpaste and the vanilla reminded us of cake! Coffee was easy to guess and the smell of onion was very strong! We also used our sense of smell in our sensory garden and picked leaves to make our own perfumes. We have been finding out who has the biggest hand in our class this week. We thought of lots of different ways to compare our hands and then had a competition to see who could grab the most cubes with their hand. We have also been practising counting in tens and making teen numbers using a tower of 10 and counting the cubes to go with it - we are very good at doing this! We have been learning about toys in the past and comparing them to the toys we have today. Mrs Boulton came to tell us about the toys she played with when she was a little girl. She liked playing with marbles and put her dog in a pram! We have enjoyed playing with some old fashioned toys this week. We all enjoyed our half term holiday and worked hard writing about what we did. We had a wonderful time at our Monsters Tea Party on Tuesday and we all looked fantastic in our costumes. Sophia and Evan won prizes for the best dressed girl and boy in Year 1. We performed our class assembly this week which completed our 'Family Album' topic. Mrs James and Mr Lane were very proud of us as we all remembered our words, spoke clearly and sang well. We are lucky to have such good actors and singers in Year 1! We have been learning about 2d and 3d shapes this week and we were shape detectives looking for the shapes in the classroom and in our outdoor area. We have also been working hard learning to spell words which have the 'sh' and 'ch' sound at the beginning or end of a word. On Friday we had a Pudsey themed day and we all dressed in our pyjamas to help to raise money for Children in Need. Thank you for your kind donations which helped our school to raise over £250. We have had an action packed week full of Christmas preparation. We have made Christmas calenders and written some great letters to Santa which we read out aloud in front of the whole class. We even had a special visit from Father Christmas!! We had lots of fun at our Christmas party. We ate some delicious party food and then played party games and rounded the day off with some pretty cool dance moves!